Fun Filled February and Valentines Day! It's a fun filled February and Valentine's Day is just about here. So I'm linking up with Daisy Designs to share Valentine's Day party plans! These are some of the activities I have planned for our party. With a minimum day we'll be basically celebrating all day! Lol. 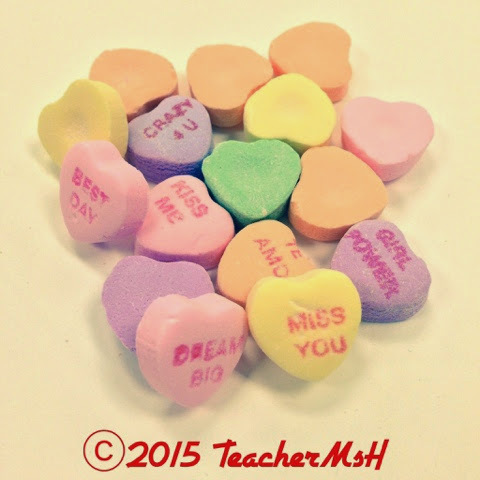 Math: I will be having my students complete a whole class graph of Candy Hearts followed by some math questions where they will compare and contrast the amounts they counted for each color. 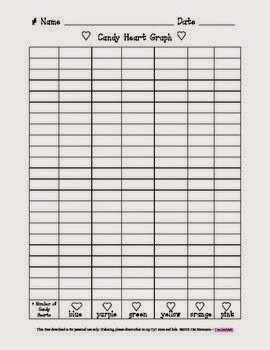 See this link for the FREE Candy Hearts Graph I made. Or click any of the pics to get to stuff. Writing: Also they will get to use some of the candy hearts in a super cute 3-D Conversation Candy Heart story where the candies will be glued on and the words on them will be part of the story. I got this idea from my amazing colleague!! All you need is cute valentines themed paper and some tacky glue. I found this pin that links to some cute FREE Valentine's Themed Paper. 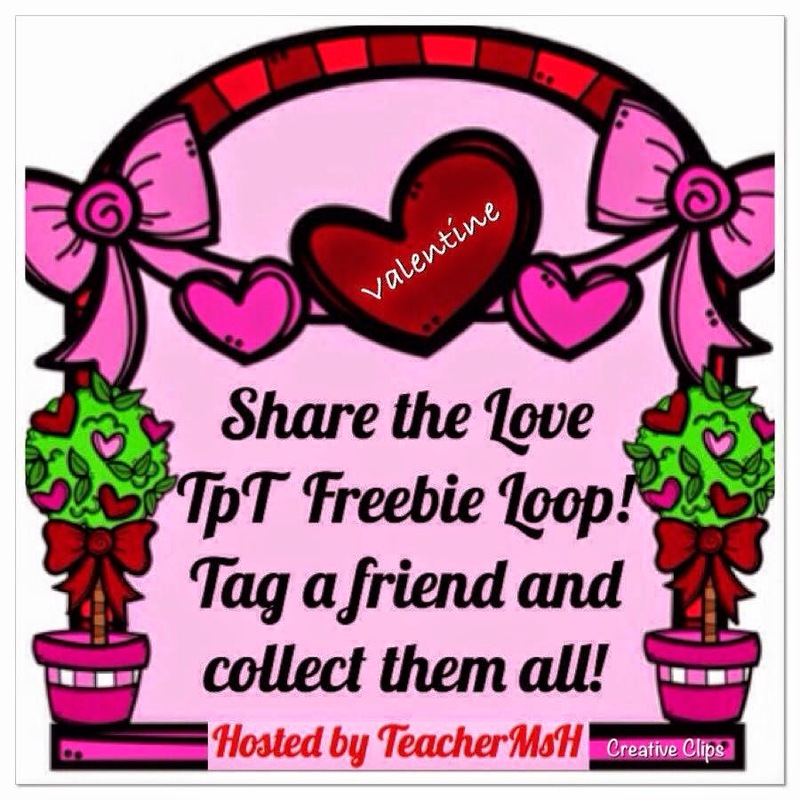 Reading: Some of my favorite V-day books will be shared! I know some might view this as an older grade book but my students enjoy this book so much, and I feel no student its ever to old to enjoy a great picture book. In Roses are Pink, Your Feet Really Stink by Diane de Groat, a student named Gilbert writes mean Valentine's card to two of his classmates to get back at them for something they did to him earlier. In the end Gilbert learns that two wrongs don't make a right. I love books that teach my students about having good character and the golden rule. Also for Black History Month and President's Day a great read aloud I highly recommend is Lincoln and Douglass: An American Friendship. It is authored by celebrated Black poet and author Nikki Giovanni, and her words are complimented by the beautiful illustrations, Byran Colier, in which fabric and mixed media were used to set the mood for each page. This book explores historical friendship between former slave, and abolitionist Frederick Douglass who met with Abraham Lincoln to discuss slavery and the civil war in the south while he was in office. The book also shows how different each man's life was leading up to their meeting, which offers a great opportunity for students to compare and contrast the lives of both men using a Venn Diagram or a Double Bubble. Finally the book ends with a narrative timeline that students can also work to recreate for a linear timeline. Crafts: My students will be making this the day before the V-day party so that they are dry. This cute little heart will be used to hold their Valentine's. All you need it just two paper plates, staple, a scissor, pipe cleaner/chenille stem and tempera paint. You will want to cut and round the outer top edges so they will resemble a heart shape. My students will also be making these super cute Valentine's Cards I made, to give to their family. I love these because you can just print them off or make them into really fun scratch-off cards. They are beyond excited to start making these. 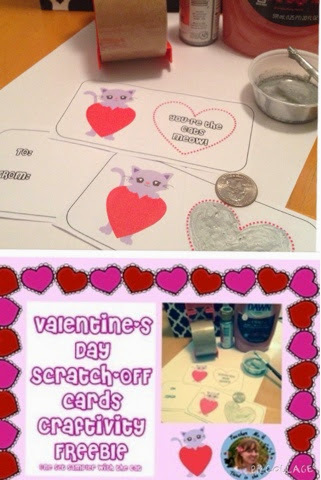 First up is the FREE Valentine's Day Cards Printable Craftivity Scratch-off with just six printable cards of the cat who says, "You're the cat's meow!" This is a smaller sample of the larger product below. 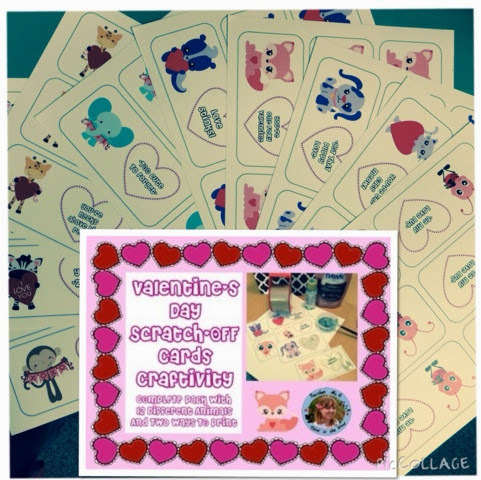 If you are interested in having a variety of cute animals and options you might like this paid version: Valentines Day Cards Scratch-Offs Craftivity Complete Pack that includes 12 different animals. A little pun or play on words using each animal is included for each Valentine. My favorite ones I created are the Skunk who says, "Love Stinks!" and the Fox who says, "You're One Foxy Valentine!" Then among the jungle animal themed ones, I just think the Monkey who says "I'm bananas about you!" and the graphic is just so freakin' adorable! I'll probably be using some more ideas I found through the Share the Love Instagram Freebie Loop that I hosted on Instagram. 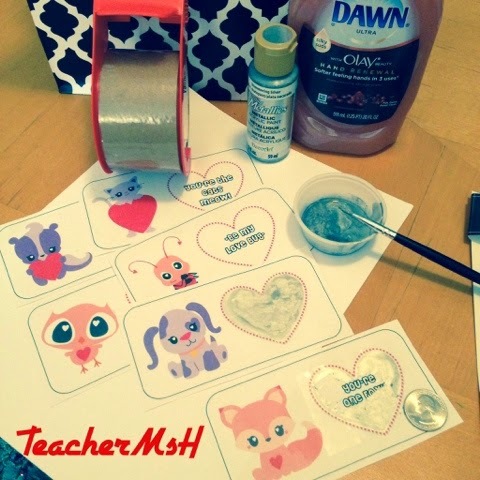 There are cute bookmarks, games, crafts, math and ELA stuff, all with a Vday theme. Some of the links in the Instagram profiles may no longer go directly to the FREEBIES but you can find them still in most seller's TPT stores. Click the pic to go to my Instagram to follow the loop! I'll be using Bingo and Minute to Win It games from this Classroom Valentine Party Pack by the wonderful Peggy Means over at Primary Flourish where she has great tips for a stress free Vday party and shows off this beautiful product. 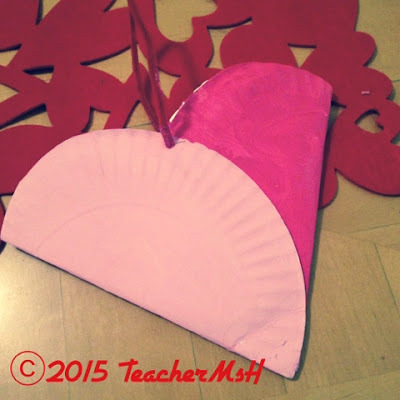 I hope that you have a wonderful Valentine's Day Holiday with your student's and loved ones and found some helpful ideas for your Valentine's Party! *Click on images of books to go to Amazon if you want to purchase these books via my affiliate link. Thanks!